The non-oil sector in Kuwait’s economy appears to be on track to maintain its growth momentum in a situation where oil prices are weak and the private sector is increasingly becoming active in pursuing business opportunities within and outside the state. eading institutions accept that proposition with National Bank of Kuwait indicating that the non-oil growth momentum of 5 to 6 per cent would be maintained this year as it did in 2014. The International Monetary Fund, on the other hand, has put its figure at 3.5 per cent while noting that there is higher domestic consumption and a pick-up in government capital spending and private investment. The non-oil sector is likely to receive a strong boost with Meed Projects stating in its report that Kuwait is set to award about KD14 billion ($47.2 billion) worth of projects in 2015, almost double the value of contracts awarded in 2014 in line with the state’s strategy to develop infrastructure. Meed also said the total value of Kuwait projects planned and active is around KD64 billion. The government has introduced a new law regulating public-private partnership in the hope it will accelerate the private sector’s involvement in the projects market. Under the new framework, the Partnerships Technical Bureau (PTB) will be superseded by the Kuwait Authority for Partnership Projects (KAPP), an independent government body that will be vested with greater executive powers in order to more effectively manage all PPP projects. KAPP is scheduled to roll out several power generation projects over the next two years including the Al Khiran IWPP, the Al Abdaliya Integrated Solar Combined Cycle (ISCC) Power Plant (CSP) and Phase 2 of the Al-Zour North IWPP. The government has also reaffirmed its commitment to deliver on development projects in spite of the oil price decline. Following the release of Kuwait’s new five-year development plan (2015-2020) in the summer of last year and the recently announced annual plan for the 2015/16 fiscal year, 30 projects of strategic and economic importance have been earmarked for investment spending of KD6.6 billion during the next fiscal year. Among a plethora of projects, two high-profile ones – the KD4 billion New Refinery project (Al-Zour) and the long-delayed KD4.6 billion Clean Fuels project – received the go-ahead, with contracts signed to commence work on some of their constituent packages. 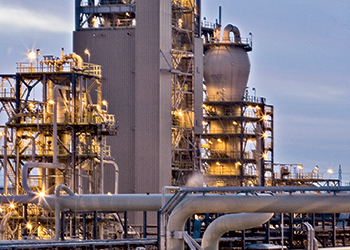 However, according to media reports, Kuwait’s Olefins III petrochemical project, planned by Petrochemical Industries Company (PIC), is unlikely to be implemented anytime soon. PIC intends to produce mainly polyethylene and polypropylene. The country was set to award a contract for a new main terminal as part of the country’s airport expansion project in November but the project was delayed when the lowest bid KD1.38 billion by Turkey’s Limak Construction came in above the KD1 billion budget. The Ministry of Public Works has asked the Central Tenders Committee (CTC) to cancel the tender for the main terminal of Kuwait’s airport expansion project. Kuwait also revived the Metro and National Railroad projects last year, though no award is expected before 2016. 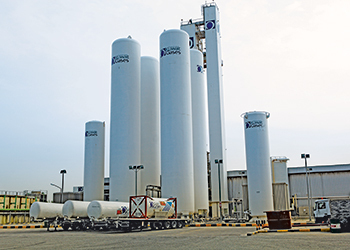 One of the private companies set to gain from Kuwait National Petroleum Company (KNPC)’s New Refinery Project and the Clean Fuels Project is Kuwait Catalyst Company (KCC) which will double its production capacity in time to meet demand emanating from the refinery for its hydroprocessing catalysts. Kuwait’s private sector has made some amazing gains. Agility, for example, has global prominence. Recently one of its divisions received a contract to manage the logistics of a high-profile Abu Dhabi petroleum exhibition. Alghanim Industries subsidiary Kirby Building Systems is a strong player in the Middle East with production facilities in Kuwait, the UAE, India and Vietnam. The company continues to execute major and challenging projects locally and abroad and is now putting additional focus on penetrating African markets. Alghanim Industries was in the news recently for signing a Master Franchise Agreement with The Wendy’s Company aimed at expanding the Wendy’s brand in the Middle East. “This deal reinforces Alghanim Industries’ strategy to partner with international food and beverage franchises and build on the company’s previous successful acquisition of Costa Coffee (Kuwait) in 2013,” said an official statement following the signing. “Alghanim Industries has a strong track-record of developing successful businesses with huge growth potential that meet the needs of the region’s expanding consumer base,” said Kutayba Yusuf Alghanim, its chairman. “We remain committed to continued growth, by introducing leading food and beverage offerings, and enhancing the consumer experience in this attractive sector.” Wendy’s joins Alghanim Industries’ portfolio of leading global brands, including American Express, British Petroleum, Colgate-Palmolive, General Motors, Honda, Mars, Mondelez, Philips, Toshiba, Hitachi, and Whirlpool. The multibillion-dollar conglomerate is a market leader in almost every major sector of its operations. These sectors include engineering, retail, automotive sales and service, insulation and pre-engineered steel building structures, logistics and warehousing, fast moving consumer goods, food and beverage, oil and gas, office automation, advertising, insurance, consumer credit and travel. Family-controlled, privately-held Al Kharafi Group is one of West Asia’s largest conglomerates with interests in construction, telecommunications (Zain Telecommunication), finance (National Bank of Kuwait), energy, manufacturing, hospitality and tourism. Another private sector stalwart, Kuwait Projects Company (Kipco), the country’s largest investment company, reported a 15 per cent increase in net profits to $157.4 million for 2014. The company reported its total revenues climbed to $2 billion, up 16 per cent and its consolidated assets surged to $32 billion from $29.4 billion. “Throughout the year, our core sectors, which include banking, media, real estate and insurance, have posted significant performance growth trends,” said Faisal Al Ayyar, Kipco’s vice chairman. “In the banking sector, Burgan Bank continued to achieve strong profitability. Also, our broadcast company, OSN, remains on the course of revenue increase, while enhancing overall customer experience with the launch of a number of strategic initiatives and advanced technology. We will continue to adhere to transparency, and work to achieve greater growth for Kipco in the coming years,” he added.